For today’s FF, tell us about five calendar themes that you like to see hanging on your walls or going with you to appointments, or that you WISH existed to adorn and accompany your life. 2) My favorite kitchen calendars feature bucolic farm settings with community activity. Every day, I need to remember to connect with the earth, to help something grow, or help with a harvest, and each day, I try to connect with community in meaningful ways. 3) My Celtic Daily Prayer book keeps my inner calendar aware of the power of love and mercy, the communion of saints and makes blessing a daily practice. I am beginning this year with Mark Nepo’s “Book of Awakening” along with CDP. 4) The only way I keep track of my schedule is on my calendar app on my smart phone, not very creative but it does keep me organized. 5) Ruby, our sweet aussie is my walking calendar, she takes me for long walks to inspire me and keep my body healthy. I need to remember to keep her spirit with me as I attend to meetings and appointments, she is the perfect blend of both playful and attentive work. I am truly inspired by your calendars. In spite of a fenced yard for our dogs I really would like to be in the habit of walking with them. It is a different rhythm and awareness, and a blessing. Happy New Year to you! 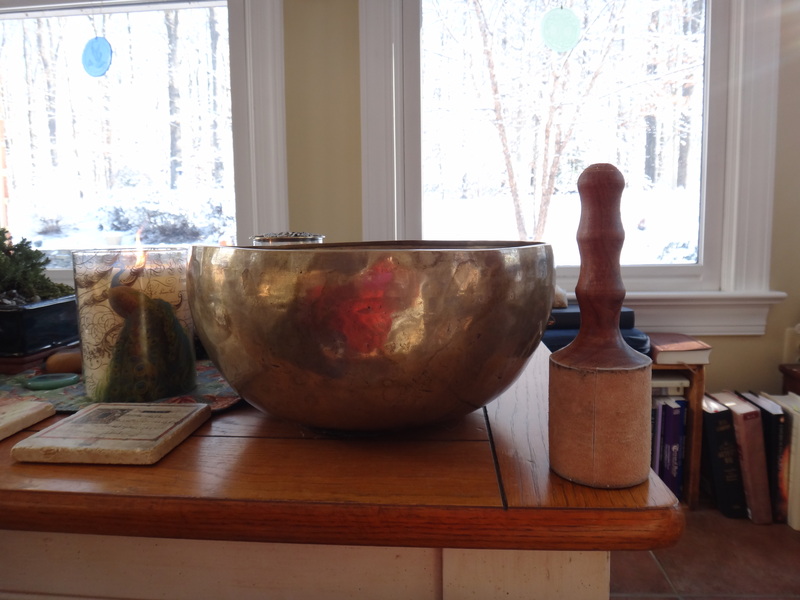 I just ordered the Book of Celtic Prayer and was recently given a singing bell for my new studio. I look forward to some quiet time and productive time this new year. Happy New Year. I would love to see you. Happy New Year, Susan! I hope we can get together in 2014 too! Thanks Linda, this is a writing prompt that comes from RevGalBlogPals, you can find them on Facebook, love to have you join! What a great play! I think I would love the Celtic calendar that you talk about. Thank you Tara! Happy New Year!